The CEO of Ottawa-based Telesat said a new deal with Amazon founder Jeff Bezos's space flight company Blue Origin should also provide a boost to employment in the city's high-tech sector. 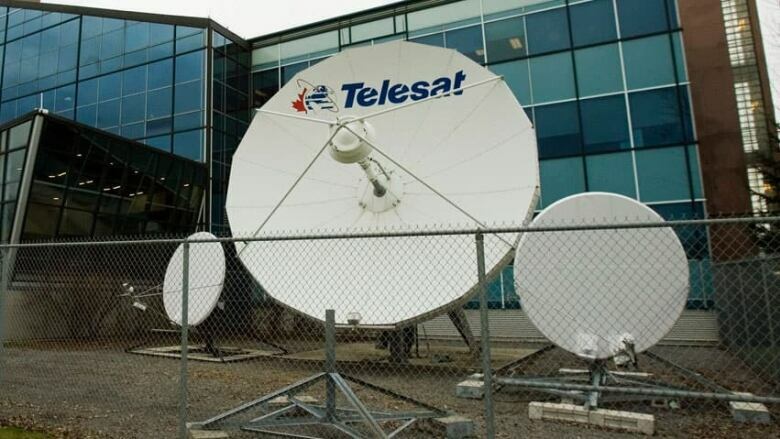 Ottawa-based Telesat and Jeff Bezos's Blue Origin have signed a deal that will allow Telesat’s LEO satellite constellation to deliver global fibre-like broadband services. Telesat will be using Blue Origin's New Glenn rocket to send its low-Earth orbit (LEO) satellites into space, allowing the satellite communications company to deliver its broadband internet services globally, according to an agreement announced Jan. 31. Telesat's president and CEO Dan Goldberg said his company will be launching hundreds of satellites with the goal of providing high speed internet access across the globe. That will mean more work locally, he said. "A lot of the research and development that we're doing for this [satellite] constellation all takes place right here in downtown Ottawa," he said. "Then there's our supply chain. There are other companies in Ottawa that will likely be contributors to this project." Goldberg said his company, which employs about 250 people, plans to fill more than 100 new jobs. "We're hiring a lot of people," he said. "We're growing." Telesat has been working on these LEO satellites for about five years, Goldberg said. "Getting really high quality, affordable broadband to people in rural areas, or in some developed countries, is a significant problem," he said. "All of these satellites will talk to each other in space. We're sort of launching a space-based IP network and it will allow us to bring terabits of capacity literally everywhere on Earth." Blue Origin expects the New Glenn rocket to have its maiden flight in 2021.